Applications are due February 27, 2019. Imagine the kind of transformative change we could achieve if every philanthropist applied an advocacy lens to their giving. The Women’s Foundation of California is excited to announce that applications are now open for the second annual Philanthropy and Public Policy Institute (PPPI). Philanthropy California is a proud partner of the upcoming Institute. Built on the success of the Foundation’s flagship Women’s Policy Institute (WPI), PPPI is a three-day intensive training for philanthropic leaders of all gender identities who want to strengthen their understanding of the most effective ways to fund policy advocacy. Like the Women's Policy Institute, the PPPI is founded on our belief in the value and importance of experiential learning. Trainings will cover: State and County Public Policy 101, Lobbying Rules for Nonprofits and Foundations, the Impacts of Politics on State and County Policy, Public Speaking and Persuasive Writing in Op-Eds and Evaluating Public Policy Advocacy Funding. The 2019 Philanthropy & Public Policy Institute will be held May, 13-16 in Sacramento. Co-Chaired by Senator Holly Mitchell and CEO Surina Khan, the Philanthropy & Public Policy Institute (PPPI) is an experiential training program focused on capacity-building and peer learning. Participants engage directly with policymakers and advocates, while connecting with fellow funders who are committed to effective, community-led and policy-based grantmaking. The PPPI is a tuition-based program. As the time to begin putting professional development opportunities on the calendar and in the budget rapidly approaches, we hope that many of you will plan to participate in PPPI 2019. Click here to apply now. And at a time when the federal government is intent on turning back the clock on progress that has benefited so many vulnerable communities, philanthropy is coming to see the value of investing in local and state policy work aimed at protecting and advancing people’s rights. Funders and philanthropists need opportunities to learn how they can participate in policy advocacy or become more strategic in their public policy grantmaking. 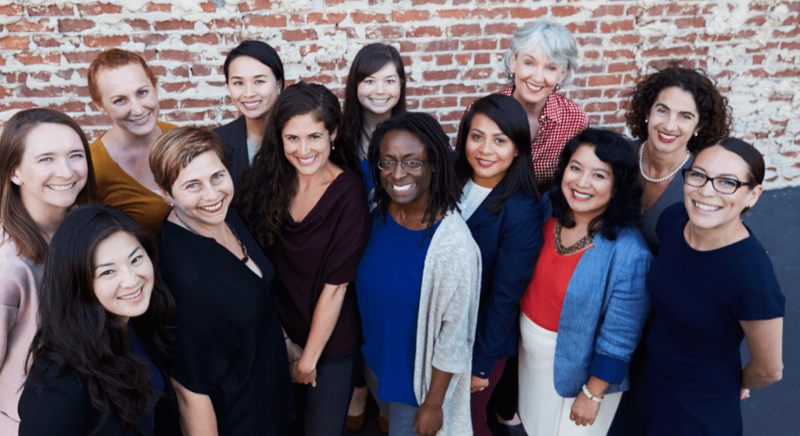 The Women’s Foundation of California is excited to expand its Women’s Policy Institute program to reach that audience and strengthen public policy grantmaking in California and beyond. Just like the WPI, the Philanthropy & Public Policy Institute is a hands-on experiential learning program focused on capacity building and network facilitation. Participants will learn directly from policymakers and advocates while connecting with other funders who are committed to effective, policy-based grantmaking. PPPI is a unique opportunity to engage with California’s most prominent leaders working for progressive policy change, including 2019 PPPI Chair State Senator Holly J. Mitchell. All participants will be invited to the Women’s Policy Institute Legislative Reception which celebrates the accomplishments of our WPI fellows and offers the opportunity to speak with some of California’s leading legislators and community advocates. Previous attendees have included State Senator Nancy Skinner, State Senator Connie Leyva and California Attorney General Xavier Becerra. PPPI brings together a cohort of philanthropic leaders from all sectors and geographies, from national funders with a focus on California to regional family foundations. Participants’ backgrounds range from those with new interest in systems change through policy advocacy to experienced grantmakers interested in refining their long term strategy. Previous PPPI cohorts included individual philanthropists and philanthropic leaders from a broad range of organizations and affiliations including Blue Shield of California Foundation, California Bar Foundation, California Breast Cancer Research Program, The California Endowment, The California Wellness Foundation, the City of Santa Monica, East Bay Community Foundation, First 5 LA, Heising-Simons Foundation, Liberty Hill Foundation, Northern California Grantmakers, Southern California Grantmakers, Walter & Elise Haas Fund, WHH Foundation and Women Moving Millions, among others. The Philanthropy & Public Policy Institute is timed to coincide with our Women’s Policy Institute training retreat so that participants and advocates have a unique opportunity to come together and learn from one another outside of a site visit or donation request. Select WPI alumni lead trainings on anti-oppression advocacy work and specific parts of the policy process. work and specific parts of the policy process. The Philanthropy & Public Policy Institute is made possible thanks to partnerships with Asian Americans/Pacific Islanders in Philanthropy, Justice Funders Network, Funders for Reproductive Equity and Philanthropy California. Email Rhiannon Rossi for more information about how to apply. Open to foundation trustees, executives, program officers, and individual philanthropists. The Institute is designed for private, public, corporate, and individual donors.